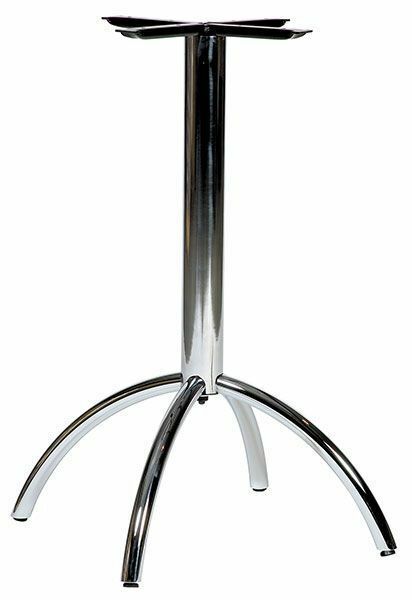 Elegant four leg Chrome table base from stock for a free UK mainland delivery service within 5-7 working days from order and is finished in Chrome all over. Supports tops 800mm circular or square. Striking design table base with a chrome plated tubular column and arched shaped legs. This range of furniture is released from stock for a 5-7 working day delivery.